You've arrived at your destination, found your accommodation and it's time to check out the big, bad city. Stash everything you need in your Kingston 22 Rucksack and hit the street! This sporty day pack is fully equipped for the trail, ideal for the town and a great choice for globetrotting travellers who like to get out and explore the countryside. 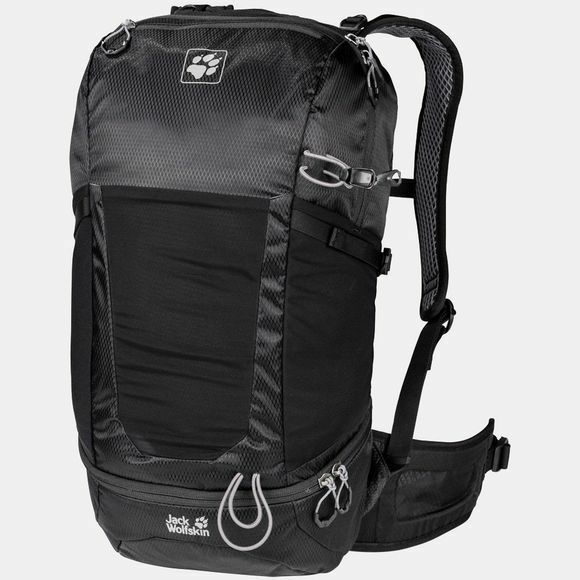 It's also a great pack for everyday use closer to home. The Kingston 22 Rucksack is part of our Kalari/Kingston series. These lightweight, multifunctional packs are made from recycled materials and have a sporty design. They are perfect for short trekking trips and long-haul travel. They are incredibly versatile, very robust and extremely well ventilated. The flexible ACS Tight back system also ensures good freedom of movement. And because the pack sits very close to your body, you retain full control of the load. The central air channel at the back and the perforated, air permeable back padding and shoulder straps help to keep you cool. 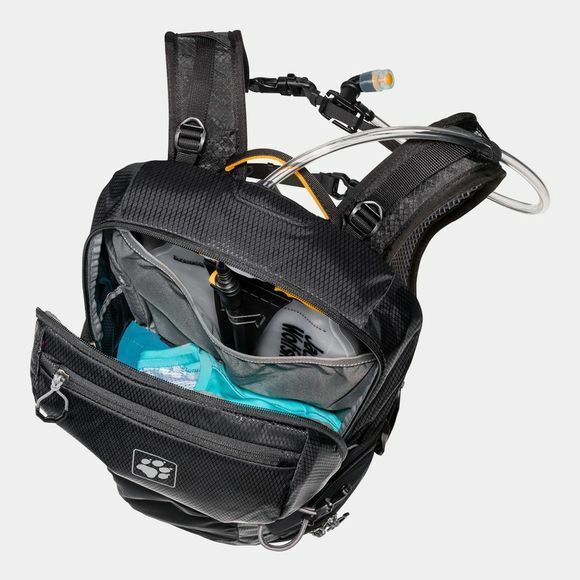 If you're not carrying a full pack and don't need the hip fins, they can be stowed away. The Kingston 22 Rucksack is the ideal size for a day pack and is equipped with hiking-specific features. Which means you only need one day pack for all your adventures, from world travel and weekend trips to everyday use. All of the packs in the Kingston series can be combined with the larger Kalari packs and carried together. Simply attach the hooks on the day pack to the loops on the shoulder straps of the travel pack. This product series will appeal to the user looking for a dynamic and flexible, town-to-trail travel pack solution for round-the-world trips or everyday use.